a Liberty fabric on the back, using a silk thread that is very pleasant to use for a slipping stitch . I am linking up with Kathy for Slow Sunday Stitching. Oh, I hope you show this finished! What a great idea! 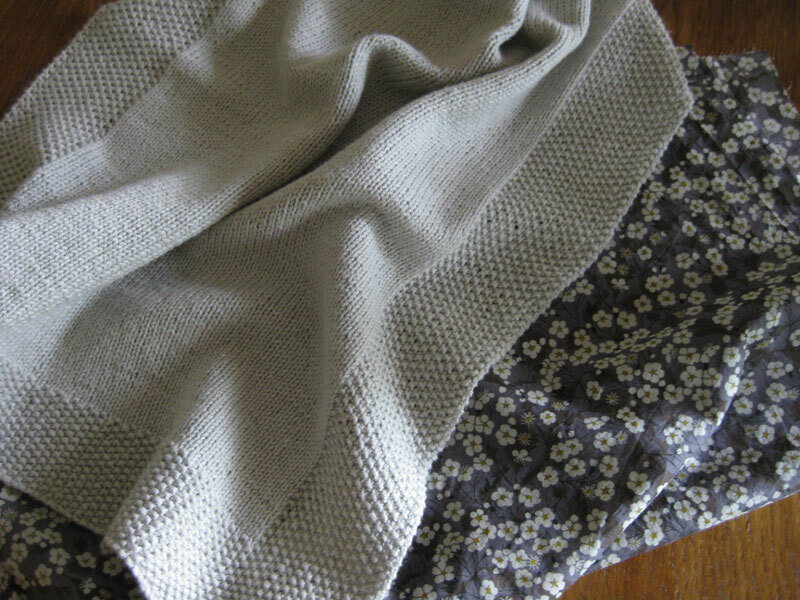 I love the simplicity of the knit blanket with the seed stitch border. 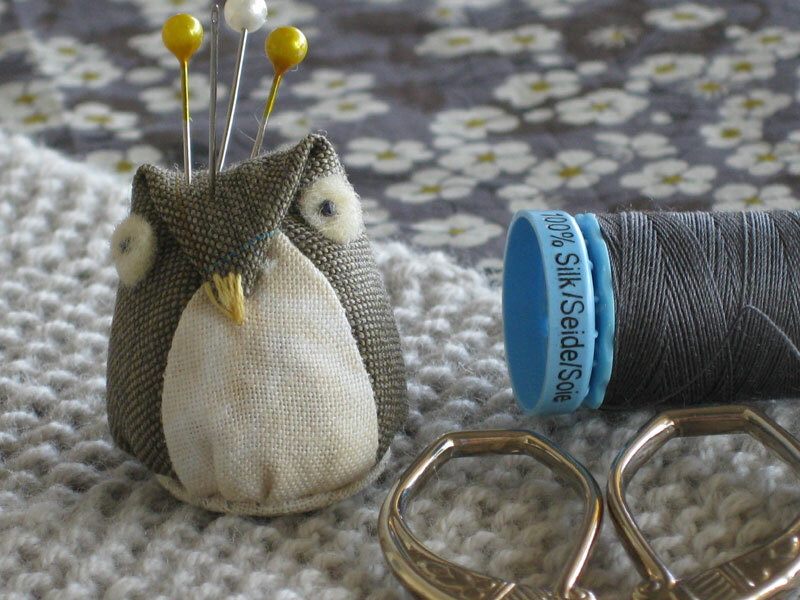 Your little owl pincushion looks so happy to help! love your knit blanket and also that owl pincushion! The blanket is beautiful and the little owl is a hoot! Thanks for sharing. LOL this little owl is just darling!! Yum! That will be a delightful texture combination to stitch... enjoy! What a gorgeous combination for a soft baby blanket! I love that Liberty print...and your owl is too cute for words! What a lovely knitted blanket! Nice colour! What an elegant crib blanket! Both the knit and the fabric side are exquisite. Have fun sewing today. CUTE pin cushion too! oooohhh I can almost feel the softness of the crib blanket. Very classic. And very cute owl! It looks such a soft and inviting combination. love the combination of textures! I am still working on my first knitting project...hummmm must get that back out before I forget how! What a lovely blanket. What is the pattern? Love the sweet pincushion too. Oh, that's pretty! I bet the lining will make it ultra-cozy! First of all, your pincushion! so lovely! Your crib blanket is so wonderful. What a great touch the backing will add. We have all of the baby blankets my grandmother knit for us, and for our children. They make such a great heirloom, and with the backing, yours will be so luxurious. Thanks for sharing the tip. I'm going to go add it to my Pinterest board right now. Beautiful blanket which will be gorgeous lined and a delightful pincushion!